When booked into the jail, all offenders receive two (2) free five-minute telephone calls so they can call family, friends, attorney, etc. After those two calls have been made, money must be added to the offender's account or family members can setup an AdvancePay (prepaid) account with GTL. Instructions are below. Telephones are located in all housing areas for offender use and are available between 9am - 10:15pm each day unless the jail is on lockdown, emergency situations, or other times deemed necessary. 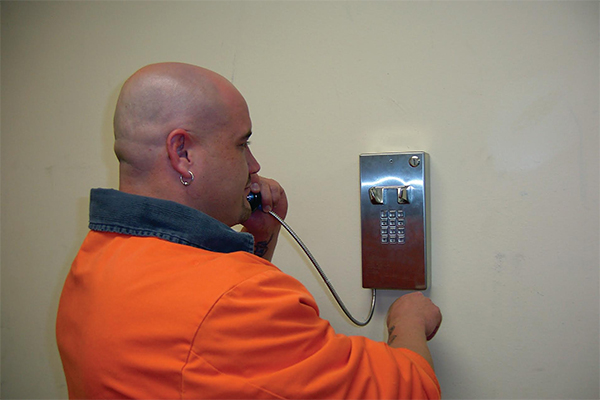 Offender telephone service for Meherrin River Regional Jail is provided by Global Tel*Link (GTL). Family and Friends may deposit money to an offender's account. It will be the offender's responsibility to transfer the money from his or her main account to the phone account. Mobile App: Follow above link, click on "Mobile Features" in menu bar, then click on "ConnectNetwork Mobile App" in center of page. For billing issues related to your GTL account, please call (877) 650-4249. For more information, please download the GTL Advance Pay Brochure. You will find information on the program, contact information, and frequently asked questions. If you wish to block offender calls, you can call (877) 650-4249 and request a block to your number. If you receive a call from an offender, you can press 9 to block the number. You will be prompted to select a four digit pin. You will need that PIN to unblock the number in the future.